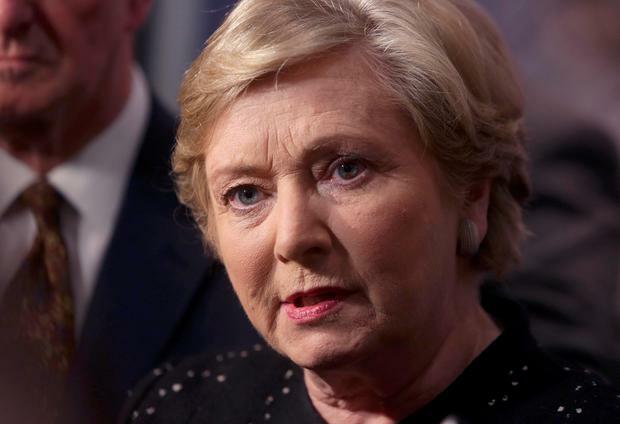 The Government has identified 26 sites where it will house thousands of incoming refugees, Justice Minister Frances Fitzgerald confirmed. In a bid to tackle the European Union’s mounting migrant crisis, earlier this year Ireland agreed to accept 4,0000 refugees over the next two years. Now Justice Minister Frances Fitzgerald has identified the two dozen locations where these individuals will be housed. The Irish Times reports that the sites are in Killarney, Kilkenny, Carlow, Cavan, Monaghan, Carrickmacross, Carrick-on-Shannon, Roscommon, Sligo, Ballina, Castlebar, Ennis, Limerick, Cork, Tralee, Thurles, Portlaoise, Tullamore, Waterford, Naas, Arklow and Mullingar. Speaking to the newspaper, she outlined how refugees will stay in an initial reception centre for up to 10 weeks before moving to their permanent homes. Ms Fitzgerald said 90 parcels of land were identified as potential sites but only 26 were deemed “suitable” by the department. So far 129 refugees have arrived here this year from Lebanon and Jordan, with a further 62 from Syria due to arrive in the next seven days. Figures from the Department of Justice show that 3,064 asylum applications were received in the first 10 months of 2015 – an increase of 140 pc increase on 2014.